Greetings and salutations snarky friends!! It's time for our annual steampunk challenge!!! I am one of the sisters who looks forward to this challenge every year...gives me a great excuse to get messy and inky in the craft room! Which is like, my favourite thing EVER!! Please be forewarned before you proceed there is an F word or two on my project. Go no further if this is not for you. While you are there please share some crafty loves and comments with our reigning Queen of Snark and the rest of the sisterhood! Wow!!! fabulous tag!!! there is a lot of elements on one tiny ok not so tiny tag. I know it's your fav. every year, it's a wonder we don't have more under different alphas lol. I love it! 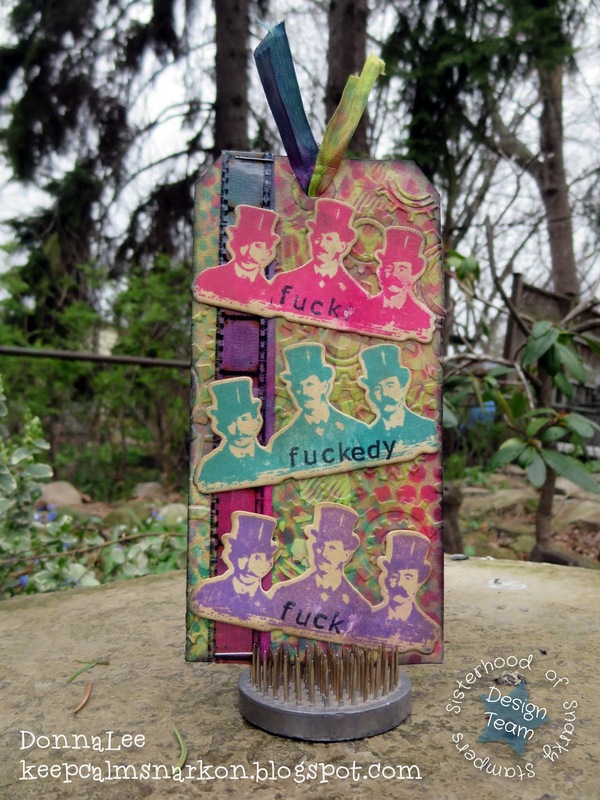 The pretty colours make the f-bombs even more unexpected which gives them ultimate impact! I never think that steampunk can be so colourful, but wow, have you proved me wrong! I guess I mean that two ways... in actual colour and in language. :P Love this tag! 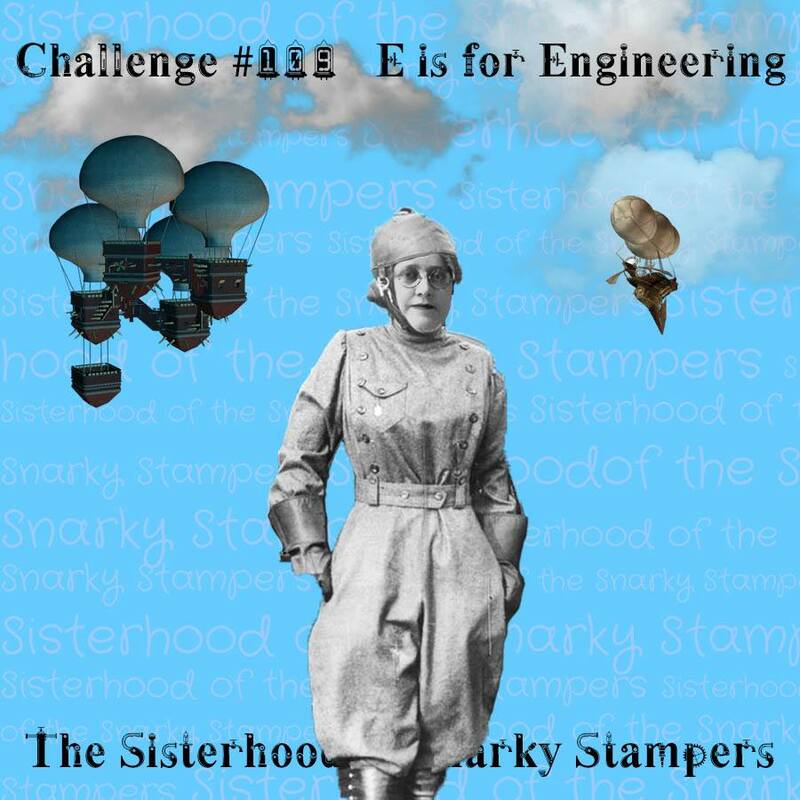 Saw this on the Sisterhood of the Snarky Stampers email and died. It is FANTASTIC! Love the colors, the embossing, all of it. I'm need ti CASE this one! Wonderful tag, love the colours and textures!